Hurry to take advantage of our NEW COMMUNITY PRICING while it last! !Introducing Cypress Landing, our brand new picturesque community in sought after Greer!! This incredible location is just minutes from Greenville and Spartanburg (right next to Greer High School and Greer Country Club), with easy access to Hwy-14 & Hwy 29 (Wade Hampton Blvd.) 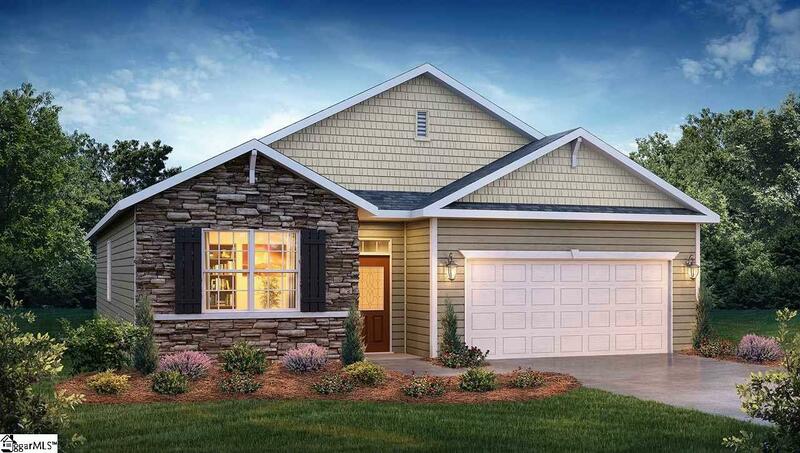 This 4 bed 2 bath split ranch floor plan is highly functional, and offers: 9 foot ceilings, upgraded beautiful Laminate flooring, a walk-in laundry, wide interior doorways, and a covered porch on the back. The kitchen features recessed can lighting, granite countertops, ceramic tile backsplash, and stainless steel appliances. This is an incredible value with all the benefit of new construction and a 10 yr. Home Warranty! Call Listing Agent to schedule a showing today!